One-CONNECT is a comprehensive DALI based scalable emergency lighting test system. 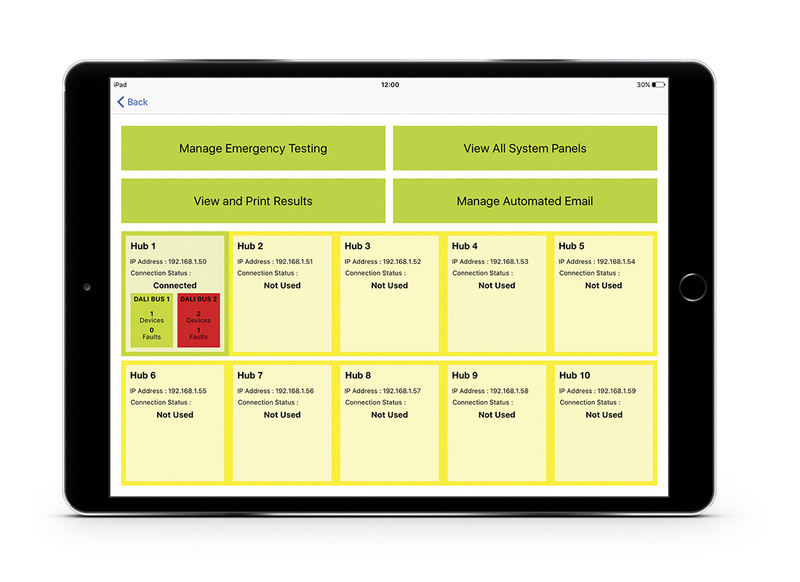 One-CONNECT has been designed to provide a flexible, powerful and user-friendly emergency lighting testing and reporting tool. The system allows viewing, printing and emailing of emergency test reports, from a touchscreen panel, enabling easy identification of faults and more efficient maintenance to comply with emergency lighting regulations. Utilising an intuitive graphical user interface and commissioning system, coupled with a powerful database engine, the One-CONNECT system provides an intelligent but simple way to set-up and present the real-time status of all components. Offering easy operation and navigation of the interface, you are able to breakdown the system to view each device individually or the system as a whole.